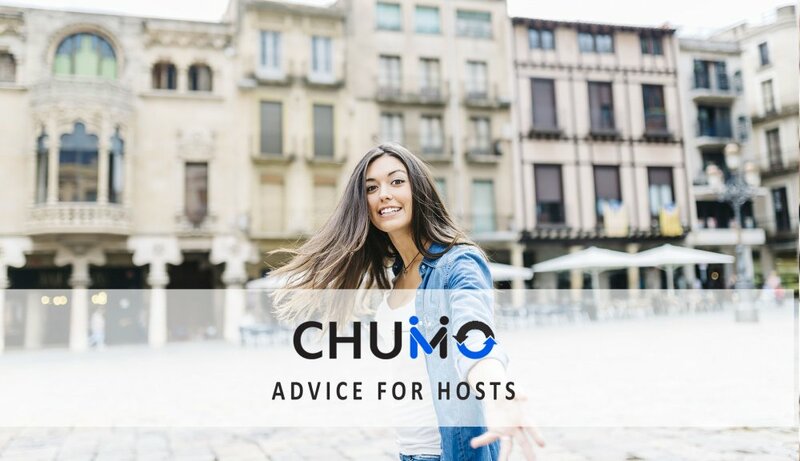 You don’t need any special skills, experience or talents to become a host on Chumaround, but there are many things you can do to improve your chances of connecting with more guests and receiving high ratings. Here’s a list of 10 tips that will help you become an amazing local host. 1. Update your profile page: Chumaround makes it easy for people with similar interests to connect and enjoy cities together. Before someone books you as a host, they will most likely view your profile page to learn more about who you are, your hobbies, and interests. When you take the time to create a very descriptive profile page, it will make it easier for people that share similar interest to connect with you. If you and your guests are a good fit, they will be more apt to have an amazing experience when you chum around your city. 2. Make it easy for people to recognize you: There’s a saying: “A smile is the shortest distance between two people.” It’s important to understand that the photo you upload on your profile page will be the featured photo that users see when they search Chumaround, whereas the photos you upload to your listing page will be your gallery photos. On your profile page, we recommend that you upload an image that makes it easy for people to recognize you. This photo should be a photo of only you; from the shoulders up; no sunglasses; no pets; and most importantly– smile! A photo with a genuine smile will attract more people to your host booking page. 3. Create an enticing booking page: After you’ve created an amazing profile page and added an amazing feature photo, you can create your host booking page. This is the place you’ll be able to share more details of what a guest can expect when they explore a city with you. Here you can add some additional photos that create a gallery to make it easy for people to recognize you. Then add a title/motto that is short, clever – above all memorable. Finally, take your time to create a description of the things you might do when people visit your city. Talk about those hidden gems you can show them that are a bit off the beaten path, or explain how you might save them money by showing them great places to shop while avoiding tourist traps. Make sure you’re description is written in such a way that it sets you apart from other hosts. It’s your time to shine! 4. Create listings in nearby cities: Perhaps you live in a city that is located in proximity of many other cities your familiar with and you’d like to host visitors in multiple cities. From one Chumaround account, you can create and manage a host booking page for every city you’d like to host in. Once you complete your profile page, simply click Become a Host button and create a new listing for each city you’d like to host in. You can manage all your listings by navigating to the My Listings tab on your dashboard. 5. Mark Chumaround emails as – Important: When a potential guest sends you a booking request, Chumaround will immediately send an email to the address you’ve listed on your account. It’s important that you receive the booking request and respond quickly. It’s extremely important that you review your email account and designate all messages from Chumaround as “Important”. 6. Get to know your guest: To offer your guests a great experience, learn what they expect of you as early as possible and also explain what you offer them. One of the quickest ways to learn about a guest is to visit their profile page. Once you read their personal description and interests, you’ll be ready to start brainstorming about all the amazing things you can show them during their visit. 7. Create a game plan: On Chumaround, you’re not offering pre-packaged itineraries and you do not need to memorize any scripts, but it’s a good idea to create a basic game plan before you meet. Make sure to discuss some offer some suggestions on what you might do with your guest in advance. Knowing the duration, routes, places to visit, timing and possible meeting points will save time and make things run more smoothly. Make sure you politely inform your guests of any expenses that are not included in your price, such as transportation, entrance fees or any third party services. 8. Communicate on Chumaround: We strongly recommend to communicate with your guest via Chumaround to make sure there is a record of your interaction in case of any disputes that may arise. Contact your guests whenever you need to inform them about any changes to your plans. 9. Keep it classy: Relax! When meeting your guests, make sure you are rested, in a good mood and eager to start having fun on the chum around. Be diligent and don’t be late. If you happen to be behind schedule, please call your guest and let him or her know. Have your phone turned on and charged at all times on the day of your chum around. 10. Follow the Chumaround Blog: Luke had Yoda. The Karate Kid had Mr. Miyagi. You get the picture. Mentors are vital to your success in anything. That’s why it’s important you follow the Chumaround Blog – “The Art of Chumming”. Here you will get weekly tips and suggestions on ways you can become a better host and receive more bookings. Always be the first to know when a new post hits the blog. Enter your email address here.